Long famed for its cheese, free-range beef and laid-back atmosphere, King Island in Bass Strait is also quickly becoming known on a global scale for its amazing, world-class golf. With two brand-new courses gracing its shores, golfers from far and wide are buzzing with excitement about this once sleepy island. 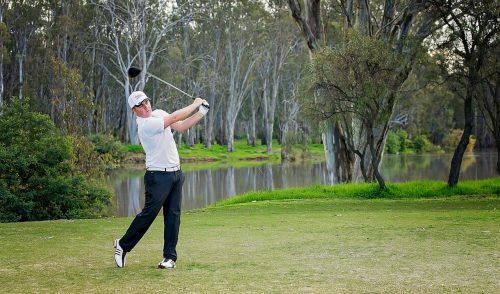 In most golfing circles these days, King Island is spoken about with much excitement. 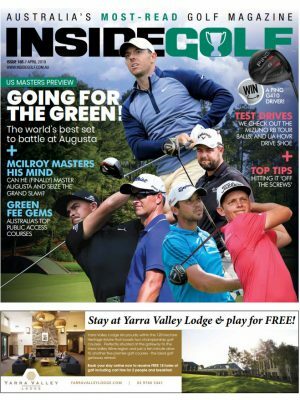 Home to two of Australia’s newest (and arguably most exciting) golf courses, the tiny island is on the verge of a major boom in golf tourism, as the courses, services, accommodation and food are all becoming renowned across the globe. With 15 of its 18 holes now open, Ocean Dunes, on the west coast of the island, has everything that the ardent golfer could want. From spectacular ocean views to challenging world-class golf, Ocean Dunes is destined for golf course greatness. Covering 285 acres incorporating rolling dunes and unsurpassed views along 2km of majestic coastline, the course features subtle, rolling greens set in picture-perfect, natural locations. Multiple tee blocks are available for players of all standards to choose from –whether you opt for the “heroic” effort from the back tees, or the more “friendly” forward tees, there is something for everyone. In addition to the front nine, which were opened in October last year, the February opening of the stunning par-three tenth, which plays across 3 Rivers Bay, as well as the 11th, 15th, 16th, 17th and 18th holes gives golfers an 18-hole prelude to the opening of the entire course (golfers can play a three-hole loop of the 10th, 17th & 18th for a second time from different tees). The remaining holes are due to open later this year. 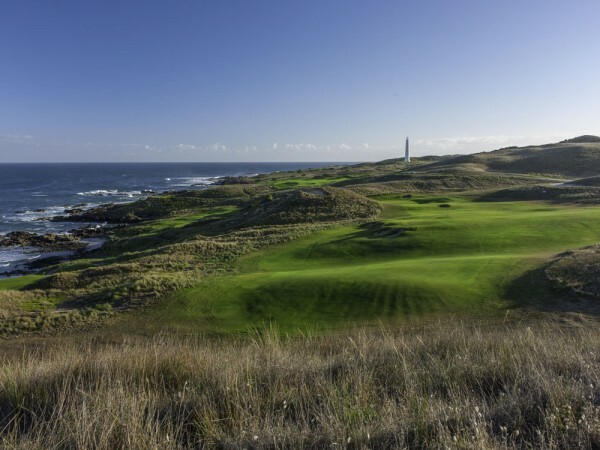 Ocean Dunes director and course architect Graeme Grant has compared King Island’s new courses to the famous layouts on California’s Monterey Peninsula. “It’s realistic to think that we have the Australian equivalent of Cypress Point & Pebble Beach here on King Island with such spectacular links land & a rugged coast line just perfect for golf,” Grant said. The consensus from visitors to Ocean Dunes has been overwhelmingly positive, according to Grant. “Preview” rounds are available. Please contact Ocean Dunes directly for further information. Once the course is complete & the turf is ready at the beginning of spring the 18 hole green fee will be $150. 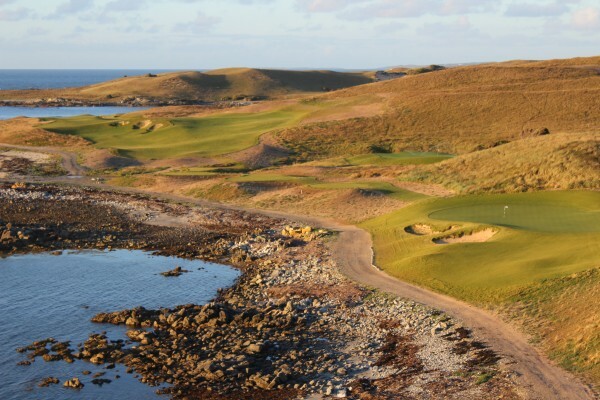 Though only open for a very short time, Tasmania’s new Cape Wickham Links has been ranked the 24th best golf course in the world by Golf Digest Magazine (USA). 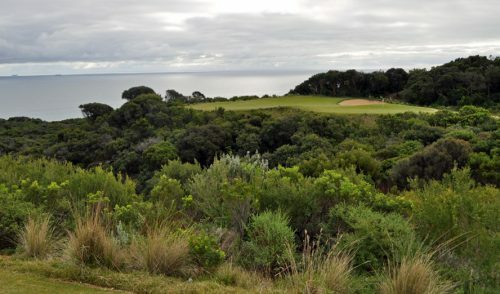 Situated near the northwestern tip of King Island and designed by American Mike DeVries and Melbourne’s Darius Oliver, the course has been open for just a few months but was described as one of the “hottest new layouts on the globe”. 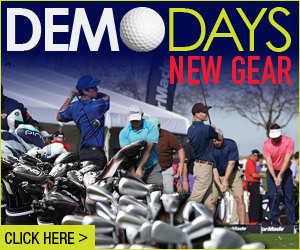 The 18-hole rate is $150, while golfers can play all day for $195. Carts are $45. 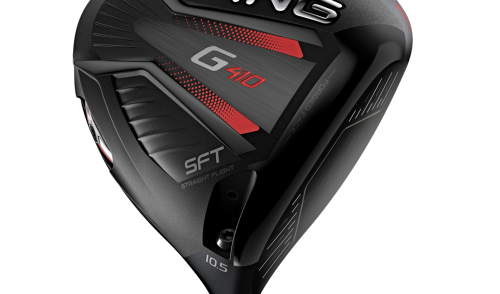 Hire clubs are $50. 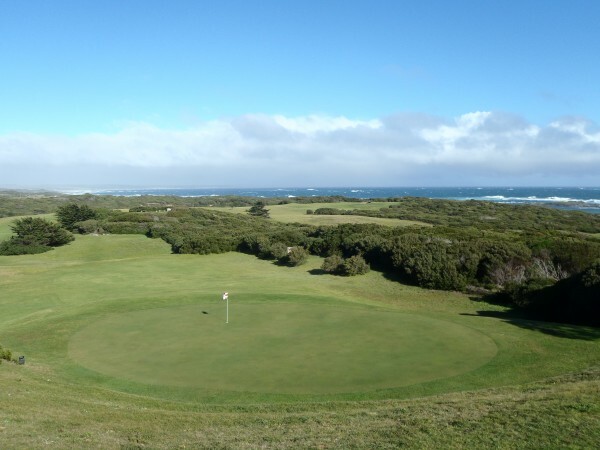 Somewhat overshadowed by the two new courses (but no less spectacular), the long-established King Island Golf and Bowls club, in Currie, is one of the world’s greatest 9-hole courses. When the wind is blowing, it is one of the most challenging courses you’ll ever play, demanding creativity and strategy to plot your way to the hole. It’s also a lot of fun. The course hugs a spectacular coastline, offering endless ocean vistas, a clever routing and greens in great condition. The course is a composite 18 holes, with alternate tees (17) and greens (12) on ten fairways. There are three Par-3s, 12 Par-4s and three Par-5s with a total length of 5476m. The perfect way to start the day on King Island is with a wholesome home-style breakfast and a coffee at the beautiful Cafe Brewer. 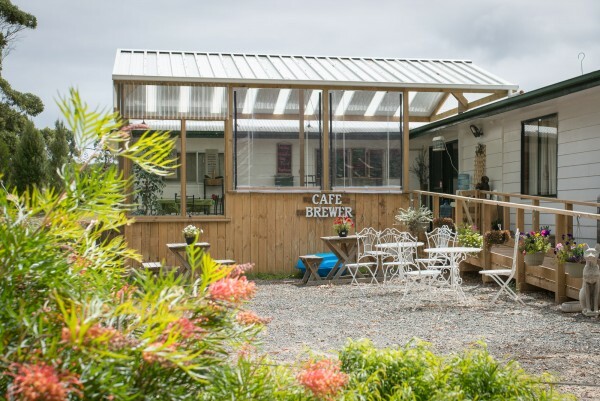 Located on Old Grassy Road, off South Road, just 10 minutes south east of Currie and nestled amongst the gum trees and a chorus of birds, Cafe Brewer is the ideal place to take a peaceful moment and visualise your round of golf ahead. Their food is healthy, delicious and hearty, with breakfast served all day. There are also quiches, salads, cakes and scones with jam and King Island cream which will hit the spot. There are also Gluten-free and vegetarian options. Soy is available. Open 7 days a week from 8.30 – 4.30 for Breakfast, lunch, morning and afternoon tea. Catering and takeaways available. Nestled amongst the tranquil, unique rugged coastlines, spectacular King Island makes nature’s ideal backdrop for Boomerang by the Sea. Centrally located in the township of Currie, overlooking the Links golf course, enjoy the convenience of short coastal walks and sporting facilities close at hand. The Boomerang by the Sea’s restaurant is regarded as the finest on King Island, offering the freshest local and Tasmanian seafood, cheese, beef and wine with 270-degree ocean views not to be missed. The exquisite, fully-licensed restaurant is open Monday to Saturday for dinner offering friendly service found only on King Island. Lunches and private functions by arrangement. 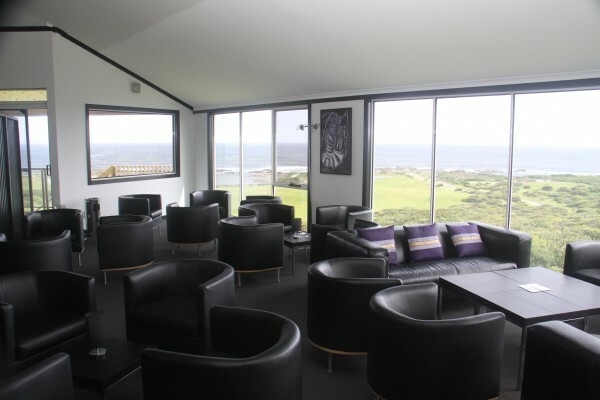 Accommodation is positioned overlooking the Links Golf Course and Great Southern Ocean. They are just an easy five-minute stroll from the Currie town centre, golf course, tennis courts and licensed restaurants. Their sixteen units are complete with conventional facilities including large sliding doors opening to a verandah and ocean views. For the family group, they have self-contained holiday units with all facilities to make your stay comfortable and relaxed. Only a short walk from the Motel and Restaurant. Flying directly from Melbourne’s Essendon Airport, long-established air touring company Air Adventure offers a variety of golf trip options to both King Island and Barnbougle Dunes. Their latest (and most exciting!) offering is the ultimate Tasmanian golf tour. Across four days, you can play four of Australia’s best courses: Barnbougle Dunes, Barnbougle Lost Farm, Cape Wickham and Ocean Dunes. If you’re looking for a golfing holiday that offers far more than just the game; then this is the way to go, especially as you’re travelling on your own private plane! With numerous aircraft charter companies now offering prized golf trips to Tasmania, Air Adventure is positioning itself as a faster, more luxurious and well-priced alternative, which organises absolutely everything from golfers’ flights and accommodation to tee times and transfers. 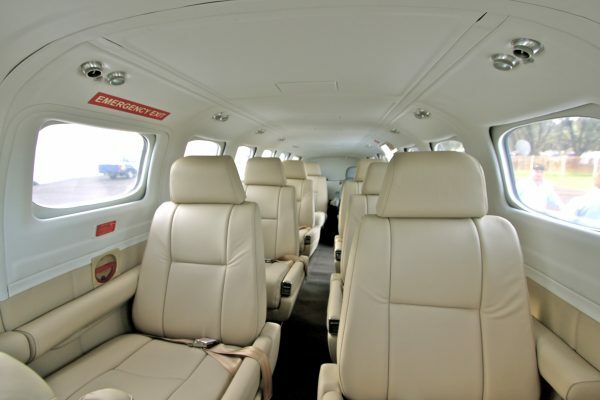 The company’s Cessna Conquest II flies at an average speed of 560 kilometres per hour, and can get golfers from Essendon to King Island in 40 minutes, or Barnbougle in just 45 minutes, landing direct on the course’s private airfield. Excluding the need for the lengthy delays associated with flying out of major airports, Dyer estimates that golfers can save up to four hours of transit time in one day. Air Adventure Golf Tours can carry up to eight golfers per aircraft (two aircraft available) and supplies all passengers with pencil golf bags for transit and full-size golf bags to use at each course they play. More information: Phone: 1800 033 160. 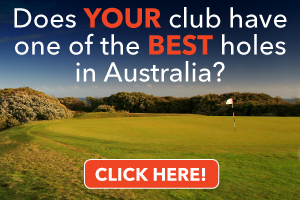 Or visit golf.airadventure.com.au. Tour operator Golf & Gourmet has recently released packages that visit King Island and have the option to go any day with the scheduled airlines or use the special flights from Essendon Airport to and from King Island on specific dates. 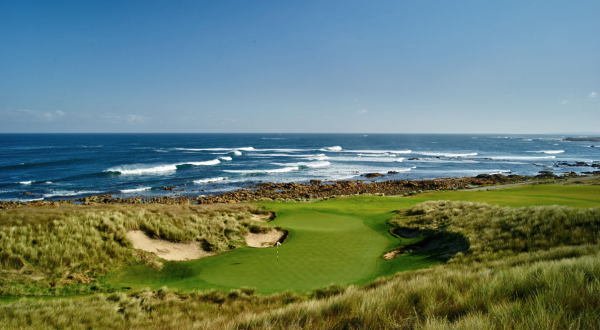 Golf & Gourmet has also combined King Island with Barnbougle to establish a 7-night package, staying at the Island Breeze Motel on King Island and Barnbougle Lodge located at the Lost Farm course. Within this package guests play all four courses with time to enjoy the local attractions, participate in other activities or simply play more golf. Flights are not included in this package as the combinations can be used to visit either Barnbougle or King Island first. Golf & Gourmet is there to assist in planning what works best for each person. Prices for the King Island Experience are $902 per person twin share, while the King Island & Barnbougle package is $1598 per person twin share. Prices will likely increase as King Island becomes better known as a great golf destination, so Golf & Gourmet strongly suggest that you book it now and enjoy this excellent value. Whether it’s a part day or a multiple day tour, King Island Discovery Tours has a range of itineraries or they can tailor a tour to suit your specific interest in King Island. 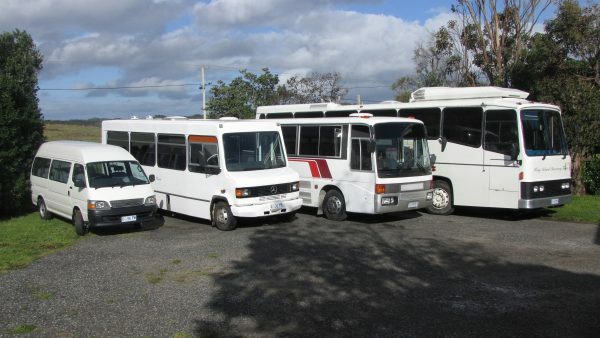 Their coaches and buses can cater for groups ranging from 11 or less and up to 49 people. They provide comprehensive information on King Island, its history, sites of interest and shipwrecks as a part of your tour. Your tour highlights could include Lighthouses at Cape Wickham and Currie, the Boathouse (the famous “restaurant with no food”), the Calcified Forest, Penny’s Lagoon (a suspended lake), pristine beaches, shipwrecks and the famous King Island Dairy for cheese tastings and purchases. Tours can include lunches as well as morning and afternoon teas. King Island Discovery Tours can arrange pickups from the local airport or your accommodation and arrange transfers between these as a part of your tour package. Great Golf Getaways offers customised golf tours to both King Island and Tasmania. Tour packages are available for both weekend getaways or longer tours of 7-14 days+ and your itinerary is customised to suit your preferred tour plans. Tour packages are available for groups of all sizes and to suit all types of golf travel including club members, social clubs and/or corporate group travel. 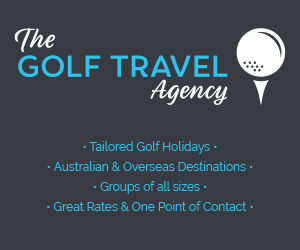 Great Golf Getaways will assist you in planning your own personal tour itinerary and arrange all your required travel arrangements including accommodation, golf bookings, transport (coach or car rental) and flights etc. For groups planning their own social golf events while on tour, Great Golf Getaways can also assist in coordinating your on-course competitions, and event prizes and trophies to suit your specific event budget. The spring/summer and autumn seasons are the perfect time of the year for planning a trip to King Island and Tasmania. Advance tour planning and bookings are highly recommended, as the spring/summer season in particular is the peak golfing season. King Island Coach Tours offer full and half day tours in an air-conditioned coach, to the Island’s well-known landmarks and attractions including the Cape Wickham lighthouse – the tallest lighthouse in the southern hemisphere. Your tour will inevitably take in the King Island Dairy where you can sample some of the world-renowned cheese. Visit some of the art galleries or the Calcified Forest. Or take an evening penguin watching tour. From accommodation to car hire, tee times and anything else you want to do during your stay, Golf Getaways of King Island have you covered. Accommodation included in packages are hotel or motel style, usually twin/double share. All properties are located in the heart of Currie, within easy walking distance to shops, restaurants and the King Island Golf and Bowling Club. When travelling in groups it is more enjoyable and easier to stay at the same venue and Golf Getaways do their utmost to fulfil that requirement. However if you prefer more private, boutique accommodation, they can provide a personalised quote and have a range of houses to choose from. Packages include either car hire or private bus transfers. Sometimes it is just easier when travelling in a group to hire a private driver to get you where you need to be. Golf Getaways of King Island can organise a suitable size vehicle and driver to collect your group at the airport, and transfer to accommodation and selected golf courses throughout your stay. If you choose a package with bus transfers, all transfers where required are included. If you prefer to self drive, your hire car will be waiting for you at the airport.